Volume 9 of The Voice of The People. 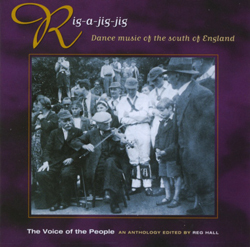 Dance music of the South of England. 16 FONT WHATLING melodeon: Untitled Polka / Golden Slippers / Mick’s Tune. 26 BERTIE CLARK fiddle: The Maid Of The Mill. Bacca Pipes / Jockey To The Fair.